First Bonsai - Need guidance ! Having admired Bonsai for many years now, I finally decided to take it myself and finally purchased a Ficus Panda from a local nursery along with the necessary supplies. I have been reading up a lot of material and still am a rookie and have many questions. All the beginner videos show partly or fully developed plants being potted in a Bonsai pot. 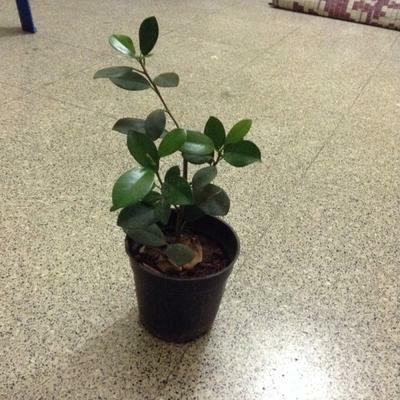 In my case, the plant which I plan to create a Bonsai is a 12 Cm's/30 Inches tall including the pot. 1. Is the plant developed enough to be potted or should I wait for it to develop some more? 2. If the plant needs to still develop some more before it can be potted, should I transfer the plant to a bigger pot or in the ground and then transfer it to the Bonsai pot? Any inputs are much appreciated and will help me kick off my first Bonsai project.